Sweet cherries get a 100-proof kick with this simple and fun moonshine soaked cherry recipe. You’ll be the toast of the party or picnic when you show up with these boozy little bites of fun. You can change the type of chocolate and sprinkle colors to match holidays, team colors, or event themes. 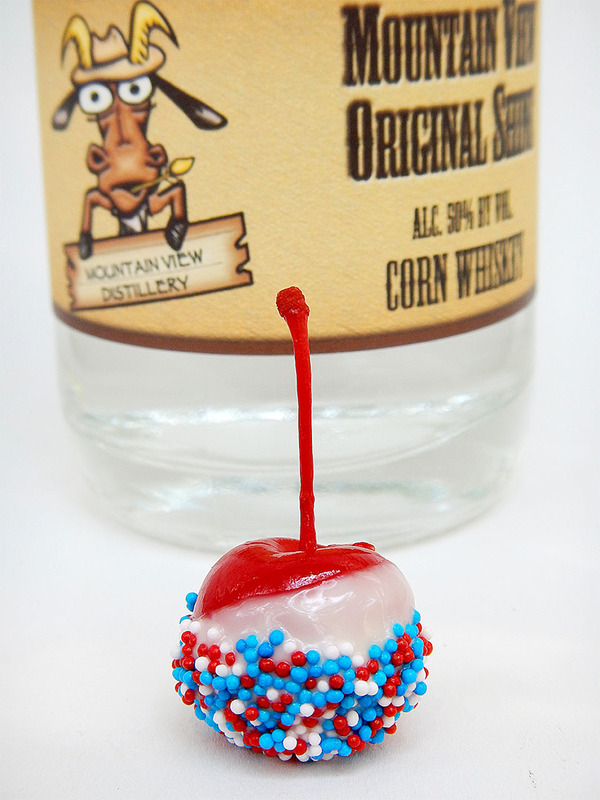 The Buzzed Cherry Bomb recipe over at Frosting and a Smile inspired this creation. 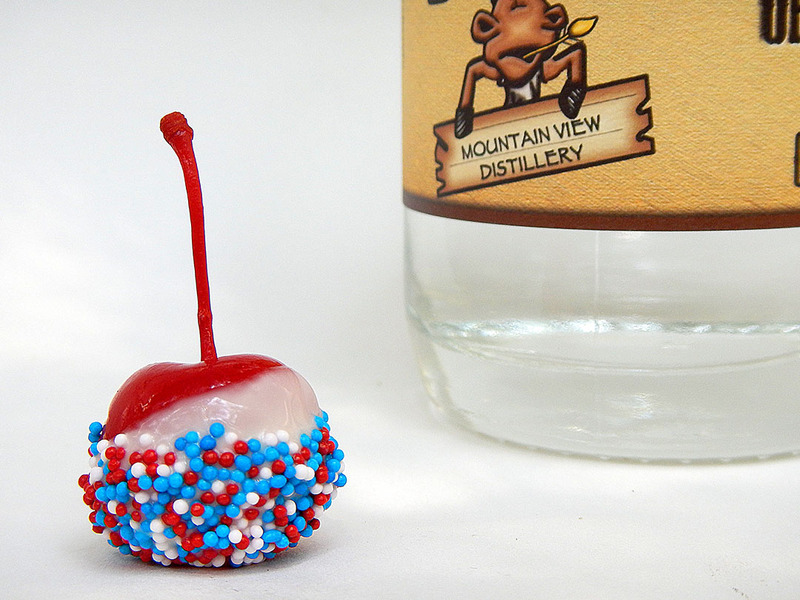 All you have to do is replace the juice in a jar of maraschino cherries with our Mountain View Distillery 100-proof moonshine (and a splash of vanilla if you’d like) then let the cherries soak up of all that moonshine goodness. We like to soak ours for at least 24 hours. The longer you soak, the more potent your cherries will be. If you’d prefer a little less kick, soak them for a shorter period or replace just half of the cherry liquid with Moonshine. Bonus: You can save the drained cherry juice and mix it with the drained Moonshine to make a pretty pink cocktail. After the cherries get a nice long swim, you dip them in melted white chocolate. Make sure you dry the cherries well before you dip them. Moisture could cause your chocolate to seize. 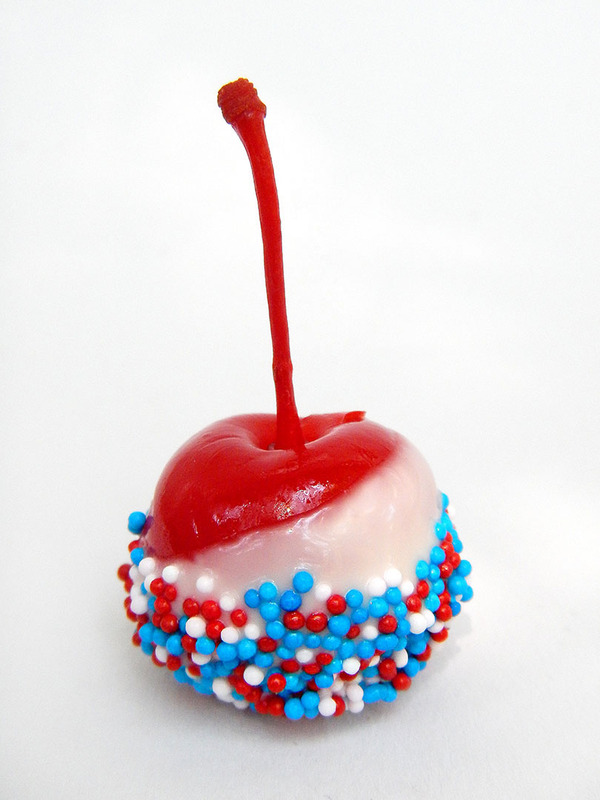 While the chocolate is still wet, dip each cherry in sprinkles. It’s a seriously fun project! 1. Strain juice from cherries. Replace with Moonshine. Add vanilla if using. Soak for at least 24 hours. 2. Drain Moonshine from cherries. (You can save it to drink later.) Gently pat cherries dry. 3. Dip in melted chocolate. While chocolate is still wet, dip in sprinkles. 4. Place on parchment paper or wax paper to set. 5. Best served within 24 hours. Enjoy responsibly and keep away from children. Never Miss a Post. Subscribe to Our Blog.